Boston Harbor illuminated by warm early morning light seen from Fan Pier. 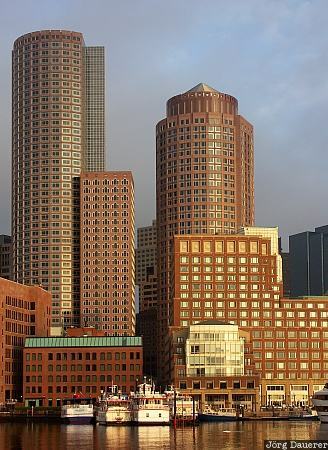 Boston is in the east of Massachusetts on the east coast of the United States. This photo was taken in the morning of a rainy day in July 2005. This photo was taken with a digital camera.